Amjed Kadhim-Saleh, known as A.J. to his friends and family, knew he was going to be a doctor from an early age. 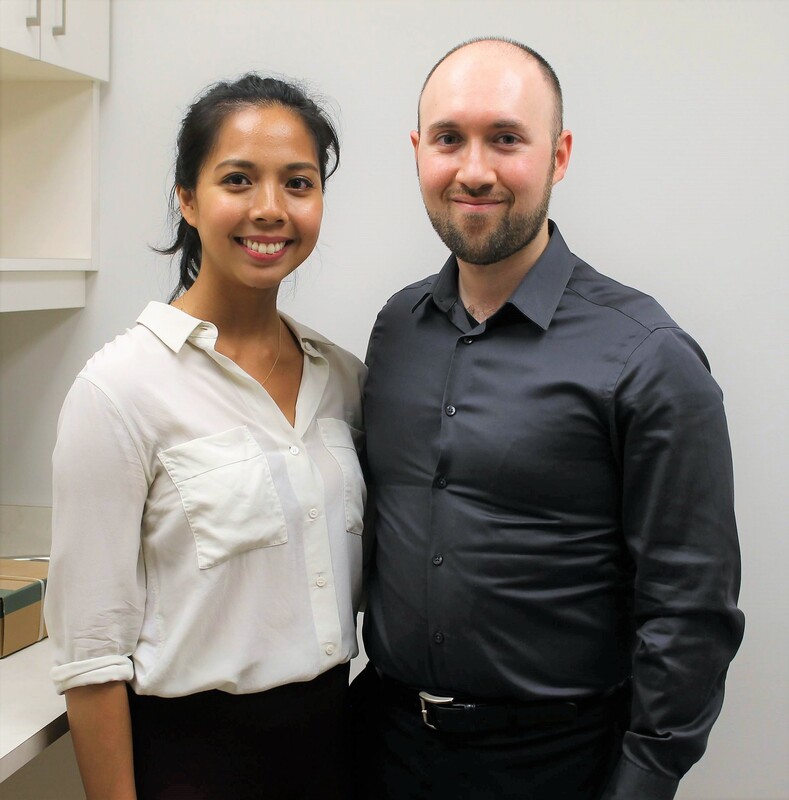 Along with his wife and business partner Mary Aglipay (left), the 30-year-old doctor set his sights on opening a family practice in Kingston Road Village and now his vision is a reality with the opening of Vivo Family Medicine on Kingston Road, just west of Scarborough Road. For most young doctors, after having gone through medical school and working for a couple of years in residency, the idea of opening a clinic would be the last thing on their mind. But for Amjed Kadhim-Saleh, known as A.J. to his friends and family, it seemed like a natural next step. Along with his wife and business partner Mary Aglipay, the 30-year-old doctor set his sights on opening a family practice in Kingston Road Village and that vision is now a reality with the opening of Vivo Family Medicine. Born in Baghdad, this doctor knew from an early age that helping people would be his calling in life. Inspired by the doctors he saw working to save lives during the wars in Iraq, A.J. decided that going into the field of medicine and, more specifically, working as a general practitioner (GP) in a neighbourhood practice would give him the chance to make a difference in people’s lives and provide comprehensive care at every stage in life, from birth to old age. Starting any business is a complicated and often stressful process, but for a medical clinic there are so many other factors to take into consideration, even down to ensuring the doors on the examination rooms are solid enough to provide complete privacy for patients. Fortunately, A.J. and Mary were able to work with a designer who specialised in these types of spaces and together they came up with a space that is welcoming, practical and maximizes an efficient flow for patients. The space, located on the main floor of a condo building at 952 Kingston Road, is bright and open, featuring Scandinavian design elements, a large reception area, six examination rooms and even an in-house pharmacy for the convenience of their patients. Combined with the latest medical software and A.J’s pride and joy, a custom-built doctor’s station, the clinic has the ability to serve a high capacity of patients, including walk-ins, while reducing waiting times and providing a full range of programs including those with a focus on preventative care and mental health. While Mary won’t be working on site at the clinic, as she will be continuing her current job as a researcher in epidemiology, both her and her husband were very specific when it came to choosing a location. While they had looked at a number of neighbourhoods in the city, there was something about the Upper Beach location that felt just right. “We immediately felt comfortable here,” said Mary. “And realized this was exactly the kind of neighbourhood we wanted to be a part of with its large population of young families who we can grow with and serve over the long term.” And, judging from the buzz in the neighbourhood that started as soon as the signs went up at the former storefront, there seems to be a definite need for a new family clinic in the area.